In the recent years, coping with the unpleasant signs of acne, traumas, burns and surgical interventions on the face as well as the wrinkles that were becoming more and deeper with age was considered a mission almost impossible. Progress in the cosmetics industry, aesthetic dermatology, and plastic surgery are the main causes of the multiple treatment options available for the management of various facial conditions. Dermabrasion and microdermabrasion are among the most popular procedures, aiming to improve the skin’ health and appearance. We have carefully analyzed and compared the most important aspects about dermabrasion and microdermabrasion in order to help you choose the most appropriate option for your skin condition. 2 What is the difference between dermabrasion and microdermabrasion? 6 Conclusion: which is better – Dermabrasion or Microdermabrasion? Both procedures consist in removing the surface skin layers. After both procedures, as well as after the recovery periods, the skin appears healthier, younger, with fewer imperfections and bumps. The controlled removal of the upper layers of the skin aims to trigger the regeneration processes by replacing the damaged skin with a new layer without causing permanent skin damage. What is the difference between dermabrasion and microdermabrasion? The dermabrasion procedure is performed by a dermatologist (qualified to perform the procedure) or by a plastic surgeon. The method of treatment should not be confused with microdermabrasion. 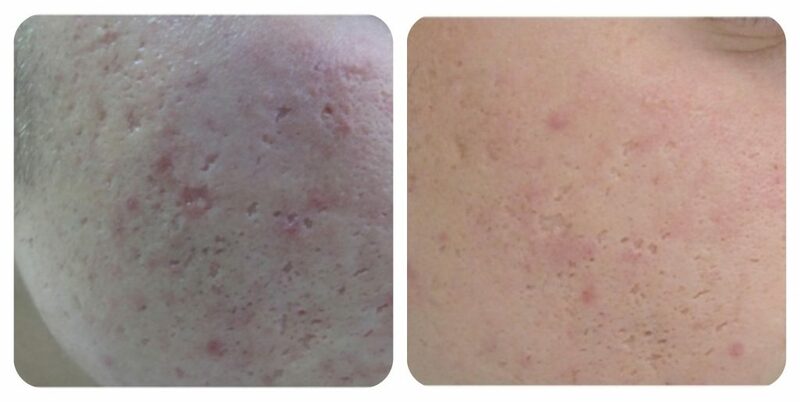 Microdermabrasion is an innovative technique showing admirable results, with minimal risk of skin damage and the development of side and unwanted effects, which can be performed by a cosmetician, a dermatologist or the patient at home. Microdermabrasion is a non-invasive procedure, usually painless, with a much shorter healing and recovery period, but (when performed in-office) much more expensive. Still, many people rely on dermabrasion technique because of the lower cost and time-proven results of the procedure. Dermabrasion can be performed separately or in combination with other procedures to achieve better results (such as chemical peeling or facelifting). While dermabrasion is performed on a small skin area (problem area) or on the entire face, microdermabrasion is suitable for the face, neck, shoulders, chest, and back. If the area for correction is larger, dermabrasion can be performed in several stages, while microdermabrasion can be done at once. The duration of the single session (dermabrasion or microdermabrasion) is within 30 to 60 minutes. Dermabrasion can only be administrated a doctor’s office, depending on the condition of the patient. For dermabrasion, it takes an average of 7 to 30 days for the complete skin regeneration (reepithelization), so patients should not be exposed to direct sunlight during this entire period. The recovery period following a microdermabrasion session is usually 1-2 days. To perform the dermabrasion procedure, the specialist uses a diamond particle ‘sander’ or a coarse brush with a rotating tip to remove the superficial dermal layers. The tip speed of the nozzle, the type of brush and the intensity of the pressure exerted by the dermatologist are decisive for the depth of penetration in the presence of severe burns, deep scars or wrinkles. This treatment is conducted under local anesthesia or complete anesthesia, depending on the size of the treated area and the general health status of the patient. Smaller skin areas are injected with lidocaine (local anesthetic) and ice can be placed on the treatment area for about 20 minutes. Some of the techniques of cryotherapy (cold therapy) can be also used, such as a cryogenic spray that causes hardening of the skin, which facilitates the procedure when it comes to the deeper lesions. Microdermabrasion uses diamond or crystal tips for gentle skin exfoliation. Consult your doctor for the most appropriate procedure for your particular skin condition. Not everyone obtains the desired results after a dermabrasion because the procedure is not appropriate for the most skin conditions. The abrasion is really intense and the side effects may take a long time to completely heal. On the other hand, microdermabrasion is the least aggressive deep exfoliation technique, which is not related to adverse side effects. There is a wide variety of therapy techniques, so the careful consideration of the benefit-risk ratio of a particular procedure is indeed important. Both procedures offer multiple benefits for the skin. You can see detailed information about the most important positive effects microdermabrasion offers on this link. The removal of scars, formations, and tattoos is permanent, while damage resulting from sunlight and aging processes can reoccur over a certain period of time. Globally, the dermabrasion technology has been replaced by innovative methods, with lower invasiveness, easier to conduct and providing the same results with less pain and a shorter recovery period, such as different types of chemical peels, laser treatment, microdermabrasion, and others. An extremely important part of the dermabrasion procedure is the complete and detailed medical history and thorough examination of the patient. 12 to 18 months prior to the procedure, it is necessary to avoid medications containing aromatic retinoids (eg isotretinoin), as these may slow down the healing process and increase the risk of scar development. Sunburns, active (infected) acne, family history of keloid scarring, as well as a recent or untreated herpes infection are just some of the contraindications to the procedure. These conditions increase the risk of developing a secondary infection after the procedure, scar formations, and slow recovery. Some patients are recommended to stop smoking, avoid direct sunlight, stop taking medicines that affect their blood coagulation and thrombosis (such include aspirin and warfarin). The intake of immunosuppressive medications should also be discontinued as they slow down the regeneration of epidermal cells and increase the risk of post-operative infection. Before the procedure is performed, all available allergies (to medications, food products, environmental factors) should be investigated, as well as the reporting of all medications and supplements, whether prescribed by a doctor or self-administered OTH treatments, is required. Microdermabrasion post-procedure care includes daily moisturizing and wearing sun protection (especially during the first days after your treatment, as the skin becomes more vulnerable to external irritants). SPF 30+ is highly recommended as the skin becomes more fragile and ultraviolet radiation may cause damage to the healthy cells. Better results and a lower risk of developing side effects are observed in patients with lighter skin. The darker skin type, as well as aging, are factors that greatly increase the risk of not obtaining the expected results of the intervention. Sun protective creams or lotion should be regularly applied (every 2 hours) in order to avoid ultraviolet damage. Before performing dermabrasion or microdermabrasion, you need to be informed about the expected results, the methods of performing the procedure itself, the risk of adverse effects. The informed choice, regarding the dermatological procedures, creates realistic expectations in patients. When performed in-office, a single microdermabrasion session costs $200-$300. The procedures should be done once or twice a month, depending on the condition of the skin and your personal preferences. You also have the alternative to buying your own microdermabrasion device (the price varies between $70 and $300) which you can use unlimited times. Most of these devices are also portable, providing the same benefits as a professional session would. The price of a dermabrasion procedure varies, depending on where it is performed, from $50 to $1500. The difference is that a single session can provide long-lasting results. Often, additional procedures are not needed. Conclusion: which is better – Dermabrasion or Microdermabrasion? Having that microdermabrasion is the modern, less aggressive, non-abrasive and non0invasive version of dermabrasion, we consider it the better option for your skin. Dermabrasion is used for very severe, deep skin conditions, which cannot be treated by removing the outermost skin layer. Note that the adverse effects as well as recovery period post dermabrasion session are more serious and may permanently damage the skin. Does insurance cover the cost of dermabrasion and microdermabrasion?